Q – I have a brand new deck – How soon should I have it oiled? A – With your fresh timber just being laid it’s critical that the natural oils AKA tannin leech out from the timber before putting down any protective coatings – we recommend waiting between 3 – 6 months – To speed up the process hose down your timbers once a week to aid the process. 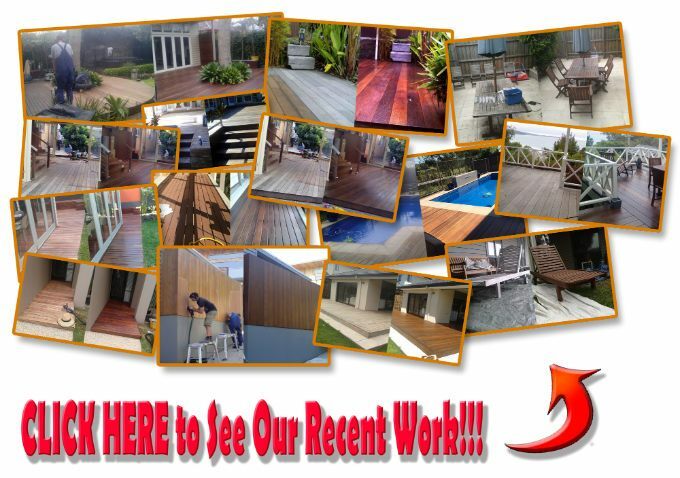 Q – What Decking Oil Do We Use? A – 95% of the time we opt for using water based oil products for several reasons. In relation to brands we work very closely with a variety of Manufactures to ensure we are always using the leading products on the market – we also have several custom formulations that are not available from Retail outlets. Q – How long does it take for us to complete our work? A – 80% of our jobs result in completion over 2 days – 1 day is dedicated to the initial prep work with another full day for the application of the high performance water based oil.